Was great tech had part with him. Great service in a blizzard. Lucas is an asset to your company. Very professional, timely, helpful in answering my questions. Good communication ahead of visit. Chronic non-stop problem was suddenly cured when Lukas showed up. He patiently checked numerous potential causes and provided good advice on actions if the problem recurred. Very nice and great service. Dave is a great employee! Dave is a great employee! Very friendly and helpful and willing to answer any questions I had. I appreciate when things are explained to me so I can use the information I have learned in the future to possibly resolve a simple issue. Thanks so much! It would be nice to receive the appointment time a little earlier than the afternoon before the appt though. It makes it difficult to plan for when I have to keep all day open. If you could choose morning vs afternoon, that would help. Dave did a great job of replacing to same motor as he already done in the past. However, it's frustrating wondering how many more times this motor is going to fail. Dave also taught me a couple things about the ice maker and water dispenser; we've never had one before. 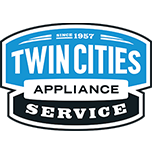 Much appreciate Twin Cities Appliance service. REFRIGERATOR WHIRLPOOL ED5FHEXTS00 "Cust had installed aftermarket filter after removing OEM filter installed on previous visit and aftermarket filter got stuck. Removed aftermarket filter and installed new OEM filter. Bled the lines and reset filter light. New filter working fine, no leaks or drips"
DRYER WHIRLPOOL WED7590FW1 "Baffle broken needs to be replaced, SHIPTOTECH ; ordrng 1 SHIPTOTECH and 1 W10416098 (baffle-drm) and 2 W10853898 (screw)s"
DISHWASHER WHIRLPOOL WDT720PADM1 "Order sump, water coming in fine then sits there not washing..; ordrng 1 WPW10671941 (pump&motor)"
DISHWASHER WHIRLPOOL WDF520PADB7 "Install pump instruct customer to rinse dishes, run hot water and run disposal before every use, disposal was backing up when I first got here and drain out unit, so we had to run disposal to get water not to back up before my test on last service.."
DISHWASHER WHIRLPOOL WDF730PAYW7 "Found no motor movement, failed pump, replaced pump, unit tested ok, no leaks"
WASHER MAYTAG MVWB765FW3 "Sr# 7724606170, normal noise, did all check on hose/ drain and it on right, ran diagnostics found overload code and lock rotor tech line said those old goes together, water level on deep fill is fine, and auto sensing is good too, instruct customer on use and care manual to load and cycle using,,.."
WASHER WHIRLPOOL MVWB950YW1 "Found grinding and clicking noise coming from unit, tipped back found bearing bad causing motor and stator to rub against each other, tub in front left also is leaking a few drops per cycle, hub needs to be replaced as well, do not order parts estimate only, inst cust to use at own risk, if starting to leak more not to use, customer to buy new unit, pvr ESTIMATEONLY, do not order parts ; ordrng 1 280146 (rotor) and 1 DONOTORDERPARTS and 1 ESTIMATEONLY and 1 W10381077 (tub-outer) and 1 W10820039 (hub) and 1 WPW10419333 (stator)"
REFRIGERATOR WHIRLPOOL WRF532SMHZ00 Fill tube frozen. Operation tested good after defrosting. WASHER WHIRLPOOL WTW5000DW2 "Hot cold reversed, no error codes, calibrate, run test cycle, ok, put towels in and spin, ok, instruct overloading, cycles and spin speed"
RANGE WHIRLPOOL WFG550S0HZ1 "Oven door not closing and sealing properly, getting a gap along top left corner. Removed door and inspected, saw no damage. Removed drawer and checked frame, all good, no bows or bends. Ordering new inner door and both hinges; ordrng 1 WP9761344 (LINER, DOOR) and 1 WPW10299224 (HINGE) and 1 WPW10299227 (HINGE)"
WASHER WHIRLPOOL WFW560CHW0 "No error codes, filling and draining ok, will not spin out and end of cycle, intermittent, need new acu, 2 men on return, call when coming back; ordrng 1 W11322879 (ACU)"
RANGE WHIRLPOOL WFG515S0ES1 "Installed part, unit tested ok, looks good"
RANGE WHIRLPOOL WFG550S0HZ1 "Removed door and installed new hinges and inner door liner. Remounted door, still getting a gap on top left corner. Even when pushing left corner in it is still sticking out at least a quarter inch. Top right corner flush. Called WP techline they said to try the hinge receivers, if that does not workthen the issue is going to be a bent frame, even though i could not see any obvious bows or bends in the frame. SR 7724489574; ordrng 2 W10647259 (HINGE RECEIVER)s"
REFRIGERATOR WHIRLPOOL WRF532SMHZ00 "Unit started up okay cooling ok, notice plug for extra water valve just hanging near back panel, this likely ground out causing a short causing breaker to trip taped up good and pushed back in reinstalled panel, unit cooling good, inst cust to test for a while before use to make sure breaker isn’t tripping, amp draw ok, compressor checked ok"
REFRIGERATOR WHIRLPOOL WRF540CWHZ00 Damper motor making noise again. Operation tested good after installing new damper. Per tech line the only reason for these to go bad is frost buildup on the motor. There was not frost or moisture on the motor. Tech line File #7724488641. DRYER WHIRLPOOL MGDP575GW0 "Install gas burner assembly check all connections with gas detector went thr with customer on gas type instead of pipe dope, she ok with that if husband wants to change he will have to do himself other wise unit is running and heating properly with out gas smell.."
WASHER WHIRLPOOL CAE2795FQ0 "Order fill valve looks like water shooting out for there..office to call customer for date, didn’t have signal in basement maintenance room..; ordrng 1 W11205048 (FILL VALVE )"
COOKTOP WHIRLPOOL KGCU462VSS02 Install module spark check over unit tested out good..instruct customer if over boil it normal for it to spark till it’s dry and it could take a couple of cooking agin for it to go away and always have fan on when cooking..
REFRIGERATOR WHIRLPOOL WRS975SIDM00 "Removed evap cover and thawed evap again. Installed ne2 evap thermister and evap plenum. Pulled unit out on pads and installed new main board and UI. Turned unit on, cooling came back on, all ops good"
REFRIGERATOR KITCHENAID KRSF505ESS01 "Installed new icemaker and cycled power to unit. Ran harvest and fill tests, all ops good. Told cust to dump first bin full of ice"
WASHER WHIRLPOOL WFW5620HW0 "Install board inner face didn’t come on, couldn’t get into diagnostics, called tech line he said to order inner face, old board would let me in diagnostics but new board wouldn’t...office to call when parts in; ordrng 1 W11319991 (INNER FACE)"
OVEN JENN-AIR JJW2430DS02 "Installed new panel per service request, unit tested ok"
REFRIGERATOR WHIRLPOOL WRF535SWHZ00 The doors were uneven at the top. Operation tested good after leveling. REFRIGERATOR KITCHENAID KRSF505ESS01 "Icemaker not producing ice, cust said icemaker had had some ice buildup arounf ice mold. Checked icemaker harvest in diagnostics, not cycling. Ordering icemaker; ordrng 1 W10873791 (ICEMAKER)"
WASHER WHIRLPOOL WTW7500GW2 "Customer has picture of residue on dark clothes looks to be lint or soap residue , recommended cust not use quick wash and use extra rinse for every cycle, also no more than 2 tbsp of soap, ran calibration no error codes, ran diagnostics through ok no leaks, all functions ok , make sure to run clean washer cycle once a month with 3-4 cups vinegar"